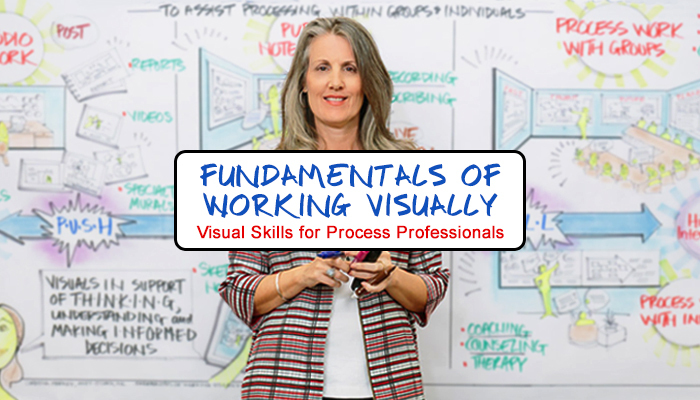 Learn Visual Process Skills … It’s not too late to add the power of working visually to your own process toolkit this season! 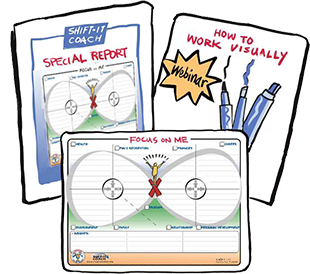 These skills are also referred to as Graphic Facilitation, Visual Facilitation, Graphic Recording, Scribing, etc. Join fellow consultants, facilitators, trainers, coaches, speakers, therapists, managers and other Process Professionals from around the globe in this leading-edge training. 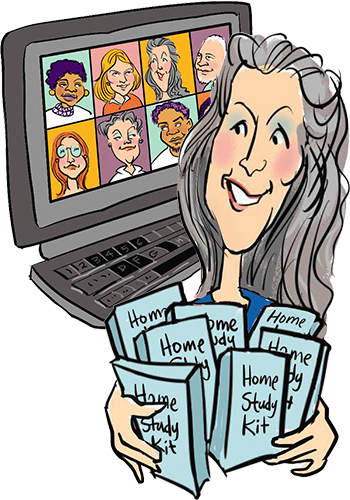 This is the online version of my popular professional skills training. Attendees from across the globe participate. No travel required, learn from the comfort of your own environment. WE START TOMORROW, LAST-MINUTE JOINERS WELCOME! I look forward to training you in the visual way of working and introducing you to your international visual tribe! P.P.P.S. Rather do face-to-face? Then book a Private Training customized for your unique needs in gorgeous Victoria, British Columbia, Canada. Or come to the in-person public course offered June 2019. If you have 10 or more people that you’d like trained, I also travel to you for In-House Trainings.